The popular kick scooter in a deluxe size. 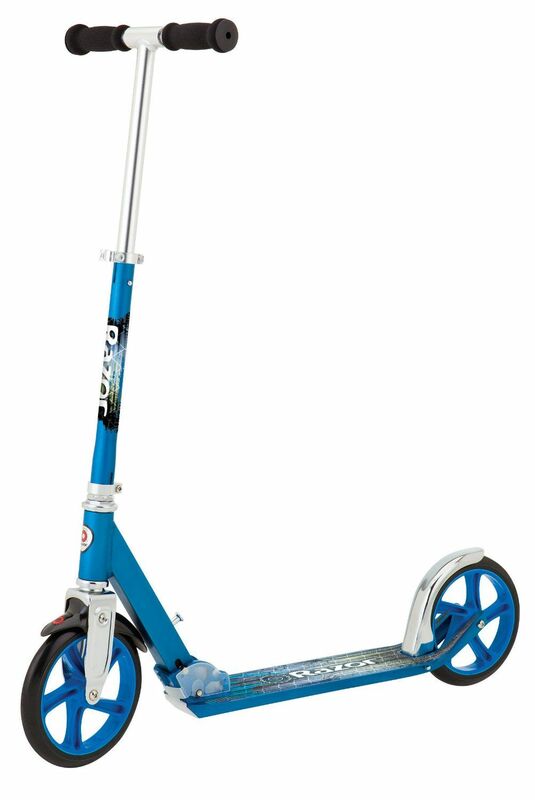 With its extra-large urethane wheels, the Razor A5 Lux is the smoothest ride around. Easy to fold and ready to go, the A5 has a super strong aluminum t-tube and deck to comfortably support riders. All these features combines so that you exert less energy and glide faster, further and with the best comfort.